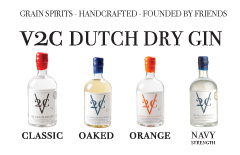 We try to make it as easy as possible to stock V2C Dutch Dry Gin. Currently you can order us via the wholesalers listed below. If you have any questions or suggestions please contact us.